What an amazing last 48 hours have been experienced for Arsenal fans, the excitement has come thick and fast and after experiencing such a high much like junkies there is likely to be an almighty comedown once things settle down. It won’t last long of course but in reflection a North London Derby win followed by the signing of the magnitude of a player like Mezut Ozil. I have to admit I am still buzzing from the victory at the Emirates, a clean sheet and first blood against our lesser rivals and their £100m signings. The atmosphere was electric as always when we play Tottenham, their fans were strangely subdued maybe they were just grateful we didn’t pop in another 5 goals against them. 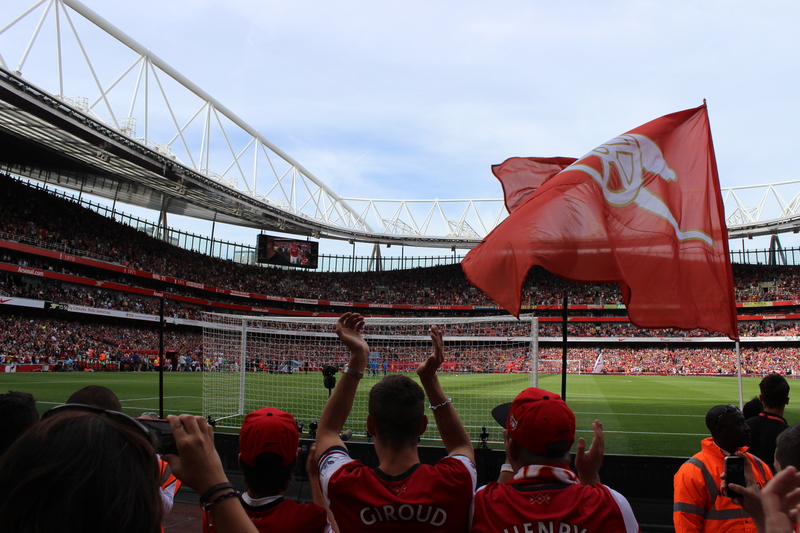 Either way the victory worked wonders for the moral amongst Arsenal fans, we have been frustrated at the lack of transfer activity and the frustration was filtering from the fans and causing an unpleasant vibe within the Emirates. The games that followed the defeat at Aston Villa certainly did their part in the damage limitation; the victory over Spurs damn near wiped the Arsenal fans minds. Temporarily I must say, as transfer deadline day is a date etched in the diaries of all football fans. 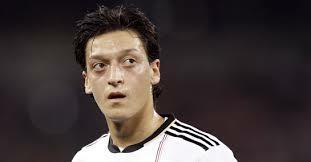 The summer has been full of names linked only for nothing to happen at the club so the fans could have been forgiven when the news of Mezut Ozil filtered through on Sunday night that the club was in advanced negotiations with the player. The Gareth Bale factor certainly played a part in the timing of any negotiations and once he was confirmed a Madrid player it opened the door for Ozil to leave. The negotiations took a further 24 hours before the signing was officially announced, a long and drawn out process as the reports gained credibility by the hour that the deal was as good as done. You would think that after the summer of non activity the Arsenal fans had experienced that waiting those few hours on the final day to get the confirmation would be a piece of cake. Far from it, things can happen in football; other clubs can come in and steal the player away last minute, the reluctance to add a decimal point in negotiations could scupper the whole deal, plenty factors could prevail. Arsenal had experienced a similar situation hours before the announcement of Ozil when Demba Ba was close to joining the club on loan for the season. Initially it was disclosed that the loan fee was a sticking point with Chelsea demanding £3m for the player while Arsenal’s valuation was closer to £1.5. The deal eventually broke down though the official statement from Chelsea was they decided not to loan the player to a direct rival. In the end, about 20 minutes before the deadline the signing was officially announced and Arsenal fans across the country released a sigh of relief. A record transfer reported to be around £42.5 million smashed Arsenal’s previous record transfer to smithereens and not one fan would question the fee for the player. This signing is huge as Arsenal pulled of a coup signing a player of such status and quality and at such a perfect age. This ranks up there with the signing of Dennis Bergkamp in terms of the calibre of player joining Arsenal. A statement of intent from the manager and certainly well worth the wait; despite the concerns at the lack of signings Ozil will certainly raise the bar in the Arsenal squad and will certainly bring the feel good factor back to the Emirates for the long term. No striker or defender joined the club in the end and Nicklas Bendtner didn’t complete his proposed move to Crystal Palace. Time will tell if that is a mistake but that factor is totally overshadowed by the Germans arrival. The season long loan signing of Emiliano Viviano also suffered from the pending news on Ozil as the main focus was on when the record transfer would be announced. The Italian international keeper joined Arsenal on loan from Palermo; he’s 27 years old so not potential and likely to provide direct competition to the current keepers on our books. 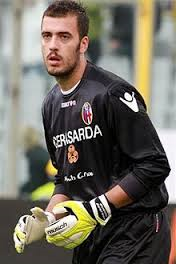 To be honest I do not know much about this keeper apart from the fact he eerily looks like Manuel Almunia. Hopefully he proves to be more talented and proves himself during his time at the club prompting a permanent transfer. September hasn’t started too badly. Enjoy your day people. The transfer window is a period of time in the football diary that excites football fans; it never fails to raise talking points as names get linked with your club. The January window in itself is looked down upon from its summer counterpart as the more desperate window. It’s a last chance for a manager to put right their mistakes in the season, at times it can work for them as a shrewd signing pays off and other times it can backfire and damage team morale. At this moment in time Arsenal fans are sat pulling their hair out whilst waiting to hear of any signings to boost the Arsenal team. We have a history of not going crazy in the January window however this time around frustrations are strong amongst the fans and the demand for reinforcements to reignite a stuttering campaign is high. Arsene Wenger assured fans he will spend in the current transfer window; he also noted that he will make the effort to sign any exceptional players that become available. We had hoped that transfer dealings would be made early to ensure any new players bed in quickly in what will be a tough month for the team. It hasn’t quite worked out that way, our biggest story of the window so far seems to be the will he/won’t he saga of Theo Walcott and his contract negotiations. We have passed up the opportunity of signing proven premiership goal scorer Demba Ba for a pretty decent £7.5m fee with the manager claiming we have enough in Olivier Giroud. I personally don’t see them as similar players and the addition of Ba would have only strengthened our attacking options. To now sign a player of similar ability would cost double if not even more than that to purchase. Chamakh and Djourou have moved on making the squad lighter and it can only mean players will come in to replace them in the squad. All the names linked so far seem to be nothing more than rumours; I’m sure Arsene Wenger will surprise us with the players he does bring in. He surely cannot afford to take the opportunity for granted and the players to come in will need to be ready for the starting eleven. We only need to look at last weekend’s round of F.A cup games to see the boost a new player can bring to a team. We witnessed Demba Ba at Chelsea and Daniel Sturridge at Liverpool getting off the mark for their new teams. Ideally a signing now rather than at the end of the month would be a big boost in our overpopulated January fixture list. I think for now we can rule out signing Villa, Lopez and M’vila but can expect someone coming in. Don’t raise your expectations too high on a big name as it will only lead to probable initial underwhelming disappointment when we sign someone hardly registered on the radar. That’s not to say they won’t be a success for us but I expect Wenger to do it his way. Whether his way is enough is another story as a disappointing season could well cost the manager his job. The January Sales seem to have started at the Emirates, a number of players have been linked with moves away from the club in the past couple days. The fans have demanded signings to change our stuttering fortunes and it seems the manager has taken note. As I understand the rules will still apply on the number of players you can have named in each premier league squad and so it seems we will move on the players surplus to requirement before any new faces come in. One of the mistakes we probably made in the summer was not shifting on certain players that were not in the managers plans early enough and we were then left with the problem of not commanding buyers for those players. Instead we had to make do with makeshift season-long loans and in Arshavin’s case keeping on a player. I still believe Arshavin could have done a job for us this season but his sparse appearances this season more or less signalled Wenger’s true feelings on the player. Players like Bendtner and Denilson are still AFC players despite the possibility of never wearing an Arsenal shirt again but their generous contracts they signed with us played a part in their reluctance to run out of the back door. This time around the first business in place it seems is the shifting on of players. Johan Djourou seems on his way to Hannover, Sebastian Squillachi on his way to Bastia and Maroune Chamakh is seemingly on his way to West Ham. The moves seem imminent although not confirmed yet Arsene did manage to confirm at least that Squillachi and Djourou have his blessing to find new clubs. With the spaces made by those players’ departures it seems clear Arsene Wenger has his targets, although he keeps his cards close to his chest it appears quite logical a defender will be a potential signing. All the rumoured players so far have been offensive players so it will be interesting to see who does come in. The offensive side seems to hang in the balance depending on the developments of Theo Walcott’s contract situation. We have missed out on Demba Ba and the motives for Wilfred Zaha’s move seems more based on being a replacement signing rather than an addition to the squad. The most important thing of all is the fact that Arsene is moving his chess pieces into place, he knows he cannot use returning injured players as new signings. The squad needs recruits and any players coming in have to be improvements on the players that move on. This will be an interesting January, a month in which we have a few tough games coming up; a few bad results and the fans will be sure to let Arsene and the team know their true feelings. Last game of 2012 is signed off with a win, a bit of a crazy victory but three much-needed points to continue the slow recovery back to the level we know we should be at. 7-3 is a flattering score-line and I suppose did its best to sugar-coat the evident frailties within the team. On three occasions we were pegged back by a Newcastle team low on confidence with the kind of goals that are becoming our trademark. The individual errors and soft goals keep on coming to the point where seven goals may be needed every game to ensure victory. That’s never going to happen so the next best thing is to address the defending and tighten it up at the back. To be honest I’m not sure how that can be addressed with the current personnel, our defending has been highlighted all season and I am sure the backroom staff are doing something about it; problem is it is not transpiring through to the first team on match days. I am not trying to put a dampener on a victory where we scored seven goals but the defeats to Bradford and Swansea are still pretty fresh and despite stretching our winning run to four games all it will take is for another defeat for all the gloom and negativity to return amongst Gooners. 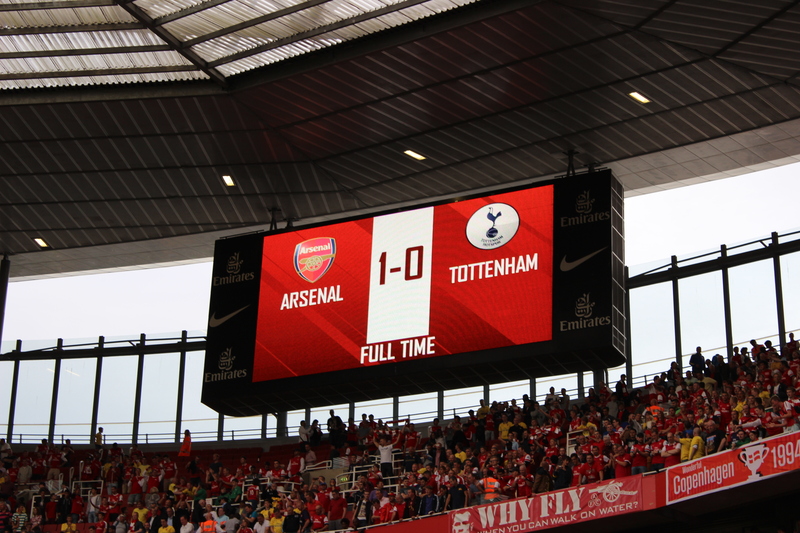 This game served as the perfect evidence to present to Arsene Wenger and put forward the case for signings. Defensively we need third wheel to shake things up. At the back we are leaking too many goals to mount a serious challenge up the table; without a solid base all the good work upfront is for nothing. When you have a reputation for soft goals then the opposition are always confident they can get something against you. 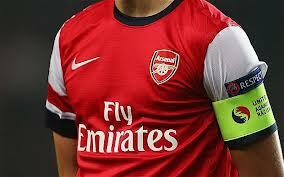 Mertesacker was missing yesterday through illness but on paper Koscielny is able cover at the back. The problem we have is individually our defence are popular with the fans. When on fire Vermaelen is the darling of the Arsenal fans, Koscielny has proven himself now, Mertesacker has won plaudits this season, Sagna will always be regarded one of the finest right backs in the country and Gibbs has grown to the point where we feel we have replaced Clichy. So why the poor goals conceded every other game? Collectively it doesn’t seem to be working, we never seem solid enough and there are always clear-cut chances against us. We ride our luck a few times but eventually we pay for it. My suggestion is that the timing is right for a top quality centre half to be purchased in the January window to keep the current personnel on their toes. Johan Djourou is clearly not regarded reliable enough, this is evident from his sparse appearances this season. In the summer I claimed he would be a good quality 4th choice centre back going into the season but in reality we need a player signed not as fourth choice but immediate competition for the starting role. I can only put down the poor goals to complacency and with no competition for the starting role beyond the three core centre halves there is a little less pressure to maintain the highest standard. I know players don’t make individual errors on purpose but at the same time another (top quality) defender in the mix should let everyone know they need to their job and do it very well. It may be deemed better to have a good balance of competition in certain positions and three top centre halves should normally be enough but a bit of unhealthy competition may do us some good. The game threw up many points regarding our options up front. We have Theo Walcott who is doing his best to prove he could fill that central striking role; his three goals yesterday again highlighted his promise and gave Arsene food for thought over his use in that position. The problem with Theo’s goal scoring form is until he signs a contract with the club he cannot be considered as the answer to anything. We are none the wiser if he will be signing a new contract and until he does we have to contend with the possibility of him moving on. That leaves us with Olivier Giroud as the only option as specialist centre forward at the club; indeed he has won over the fans after an initial slow start to his Arsenal career but we need an alternative to just playing to his strengths. Marouane Chamakh is as good as gone in the next transfer window after failing to prove himself at the club and Gervinho has shown no consistency in any position of late that he cannot be considered in any capacity. Not forgetting the ACN in January when we lose the services of Gervinho; Chamakh was not called up for the Moroccan squad but that is not enough to suggest we have options now. The player touted as a possible acquisition in January is Demba Ba; he still has that clause in his contract making him available at £7.5m. He has been touted as talking up a move to Arsenal recently and he did his chances of being snapped up no harm by exhibiting his attacking threat with two goals against us right in front of Arsene in the flesh. Arsene was quite coy on the potential signing of the striker in his pre match press conference but that would be expected given the fact the two teams were meeting. 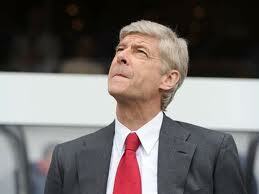 The question is whether the delay on Theo’s contract is in relation to Arsene signing such a player? Would that end his chances of playing up front or will Demba only be signed as a replacement for Theo if he decides to definitely leave. It’s a tough one to call, ideally I want Theo to stay and Ba to come in; much like I mentioned with the defence that competition is required to keep players on their toes. Theo would need to be prepared to fight for a chance up front and take his chances when they come in the midst of the competition from players like Ba. It’s all very well playing up front knowing you only have Chamakh and Gervinho to compete with but to improve and be the best you need to take on the best (or at least a better standard of competition). January will be an interesting month and we will need a lot of open books closed. Players need to be signed, I’m not talking signings for the sake of signings but we need quality to improve the squad and increase competition for places. We have too much dead wood making it easier for the starting players to let their standards slip. I hope yesterdays win despite the high score-line doesn’t help deflect from what is really required.